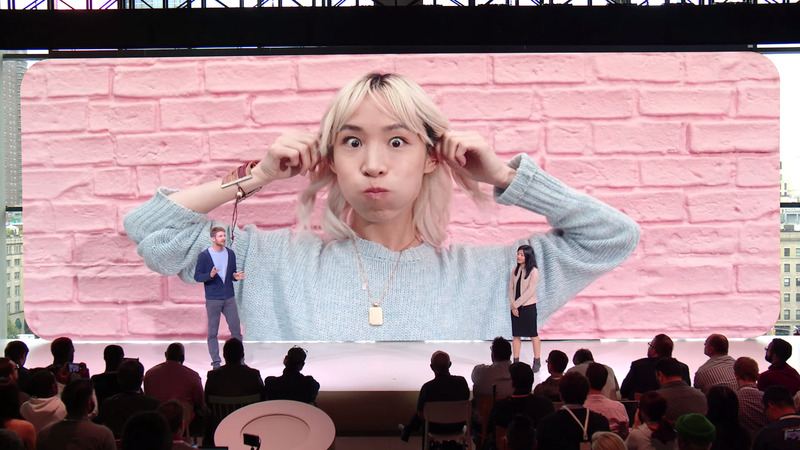 Google made dozens of announcements in its 75-minute event, but a handful of “wow” moments stole the show. 1. 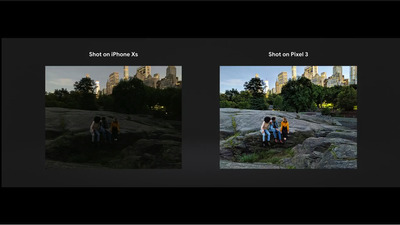 The Pixel 3 has an impressive-looking feature called “Night Sight,” which could blow other low-light modes on rival smartphones out of the water. Google came up with a better solution to flash photography in smartphones that “blinds your friends and leaves you with an unnatural-looking photo,” according to Google’s Liza Ma. Night Sight made a pretty big impression at Tuesday’s event. 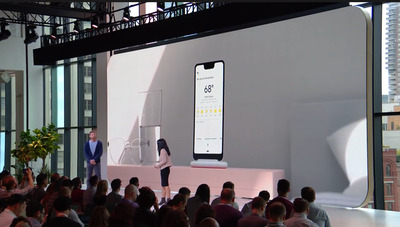 When Google showed two photos – one taken with the Pixel 3 and one taken with Apple’s new iPhone XS – the crowd started laughing and clapping. As for how good Night Sight is in the real world, we’ll have to test that for ourselves. But it looks promising. Google’s “Group Selfie Cam” in the Pixel 3 lets you capture more of your selfies by simply zooming out. Google says you can capture 184% more in your selfies with the Pixel 3. 3. “Photobooth” mode, a new camera mode for the Pixel 3, will automatically take pictures if you’re smiling or making a funny face. It’s a clever touch that could result in more fun and natural-looking photos. 4. 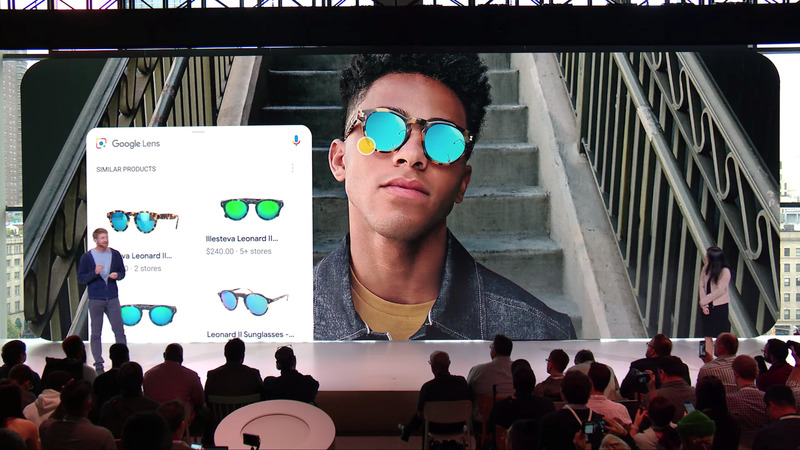 Google integrated its futuristic Lens feature into the Pixel 3’s camera — so if you point your phone at a restaurant menu, for example, it can spot the address or email address and prompt you to open it in Google Maps or Gmail. So let’s say you see someone wearing a beautiful jacket – just point your Pixel 3’s camera at them (try not to be creepy) and your phone will surface similar jackets you can buy online. 5. Google’s Pixel 3 takes portrait mode to the next level, even one-upping the iPhone XS. You can edit the depth of field, like you can in the new iPhone XS, but you can also make colours pop by muting other colours, or change the focal subject of the photo, something tech companies have been trying to accomplish since the Lytro camera. The number of new portrait-mode features – and the level of control you get for each one – shows why Google’s smartphone cameras are best-in-class. 6. 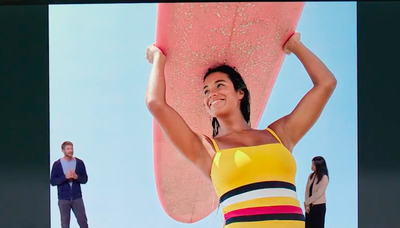 Google’s new Pixel 3 phones come with a feature called “Super Res Zoom” to give you better close-up photos that don’t lose detail. “Anyone who’s tried to take a photo at a concert knows that phone cameras take terrible zoom. Instead of shooting a grainy photo, Pixel 3 shoots a burst of photos, each a bit different, taking advantage of the natural tiny movements of your hand. We run the variations through a merging algorithm to create a beautiful zoomed-in shot. 7. 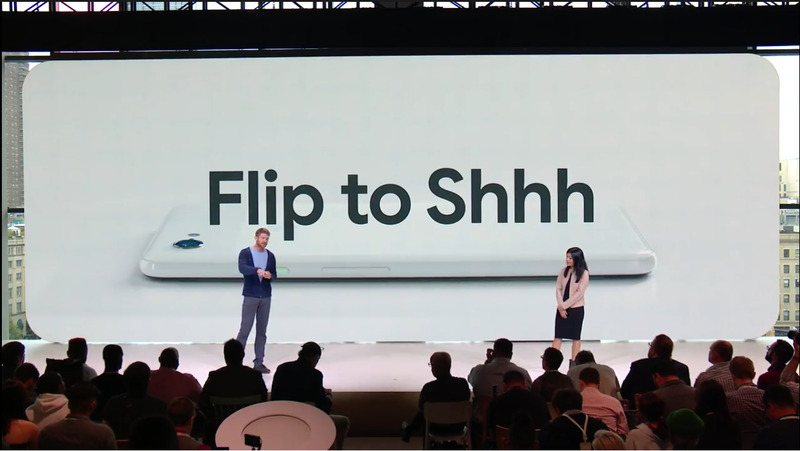 “Flip to Shhh” is a great new feature for the Pixel 3. If the setting is on and you put your phone face-down on a table, it will automatically mute sounds and notifications. 8. 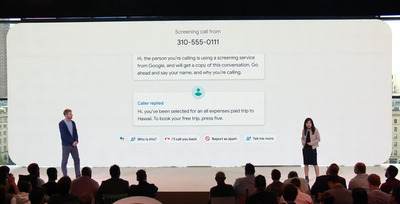 Google’s new “Call Screen” feature for the Pixel 3 is the first time you’ll be able to use Google’s advanced Duplex technology, which uses Google Assistant to deal with phone calls on your behalf. 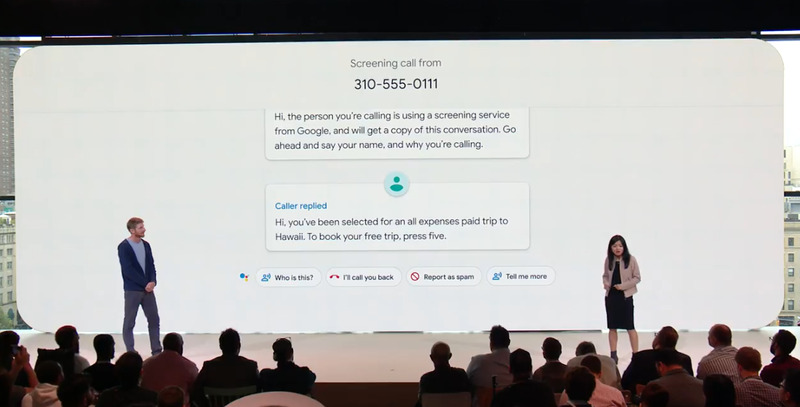 With Call Screen, if you don’t know who’s calling you or think it’s a telemarketer, you can have your Google Assistant answer. It will tell the caller it’s an assistant responding on your behalf and ask what it’s about. At that point, the entire conversation will be transcribed on your lock screen, in real time, so you can choose to answer or hang up. 9. 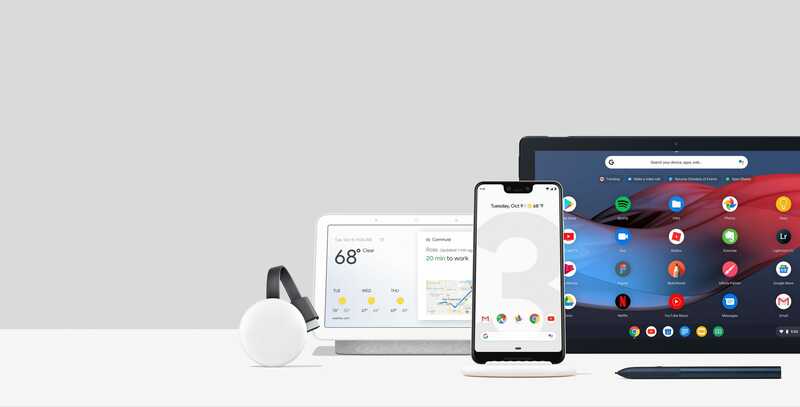 Google also introduced a special accessory for the Pixel 3: a $US79 wireless charger called Pixel Stand, which actually changes how your phone looks when it’s docked. 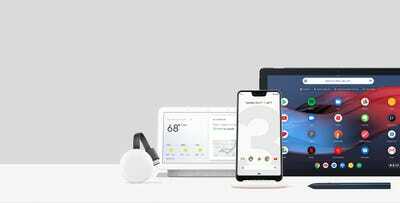 With the Pixel Stand, you can use your Pixel 3 as an alarm clock – where your phone’s screen gets increasingly bright until your alarm finally goes off – or just to check the weather. The Pixel 3 can also become a digital photo frame when it’s attached to the stand and not busy with other tasks. 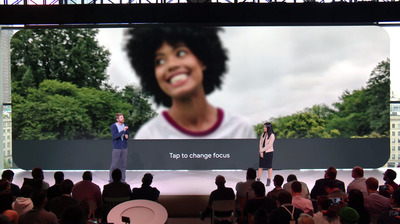 It will automatically scan your Google Photos, being careful to remove blurry or “bad” photos to make sure your phone is displaying only your best pictures. 10. 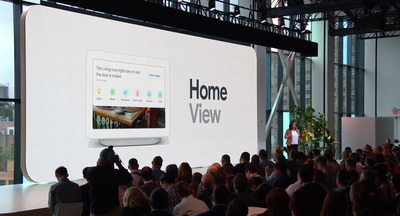 The Google Home Hub, a new smart-home device Google unveiled on Tuesday, features a “Home View” where you can control all your various other smart-home devices in one place — no need to open a million different apps. You’ll also be able to access the Home View from your Android phone. 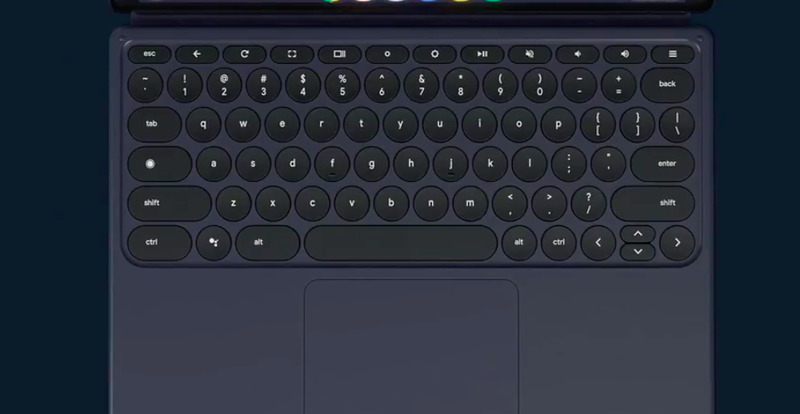 Google made a new keyboard that you can push the Pixel Slate down into – and once you hear it click, just start typing. You don’t have to worry about recharging the keyboard or syncing it up with the tablet; it all just works. 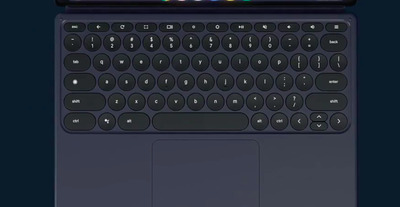 The keyboard also comes with a full trackpad and quiet, backlit keys. It’s pretty to look at, but it also sounds comfortable and easy to use.